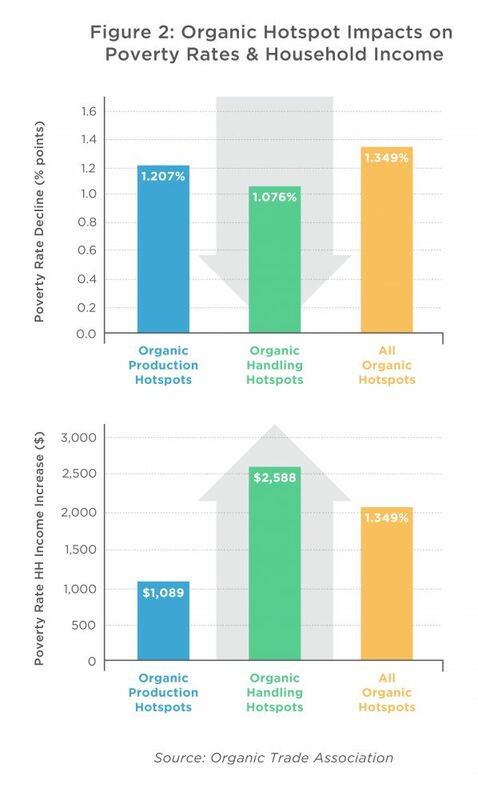 A new report from the Organic Trade Association shows that there is less poverty and higher household income in places where there are “organic hotspots” – concentrations of organic agriculture activity in neighboring counties. Penn State Agricultural Economist Dr. Edward Jaenicke, author of the report, found that median household income rose by more than $2,000 and poverty rates declined by as much as 1.35 percentage points in communities in or near these organic “hotspots.” It’s likely that sustained economic activity generated by organic agriculture in these areas is fueling the growth of downstream businesses, including food manufacturing operations and companies that sell organic goods. Many of the hotspots are where you might expect – the west coast, parts of New England and sections of the Midwest – but there are numerous “outliers” that have organic production but don’t quite qualify as hotspots. Moreover, he found that the economic benefits are unique to organic agriculture. The same impacts do not appear near concentrations of non-organic agriculture. Despite these benefits, fewer than 1 percent of American farms are certified organic, and producers are struggling to keep up with soaring demand for organic food. 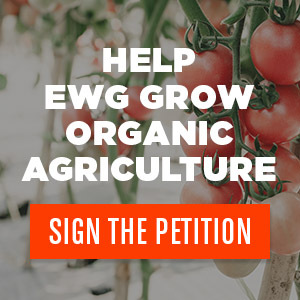 You can help foster growth in this sector by urging Congress to invest in organic farming. We need to help more farmers make the switch to organic for the sake of biodiversity, soil health, and it turns out, for the good of local economies.